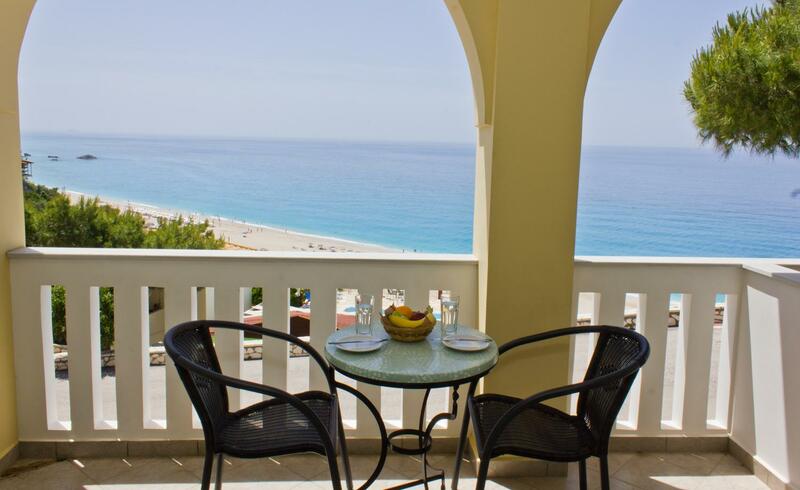 Hotel Sirios is built in a dreamy location of Lefkada island, Kathisma. It is a family run business, which operates successfully for the last 9 years. More and more travelers choose Sirios Hotel for their holidays year after year. The privileged location of Sirios, right above Kathisma beach, offers uninterrupted views of the sea and the mountain. Kathisma is the most organized beach of Lefkada. Here you will experience an unforgettable vacation in a clear, azure beach. will make your holidays here an unforgettable experience! that this is the only authentic email of our hotel.